`Van Halen`are a Hard Rock band America.Here they are photographed and captured in Analog from the stage and pit area during a concert in America in 1980. For more information and to follow the band on social media use the following external links. 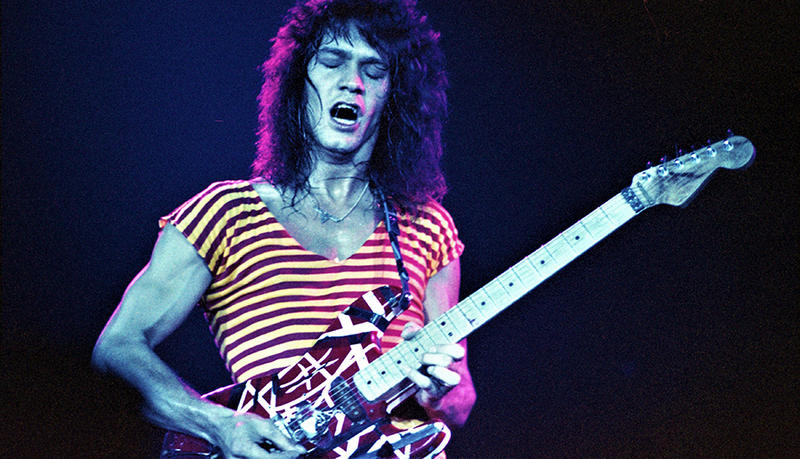 Van Halen were on a rocket ride to success by this point, touring in support of their third album “Women And Children First”. The show was Sunday July 27th. 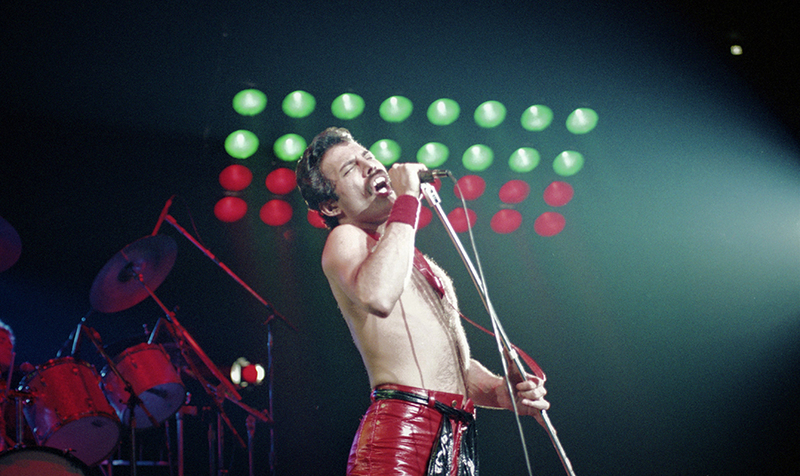 1980 at Nassau Coliseum, Hempstead, Long Island, NY. Labeled “The World Invasion Tour” but called the “Party ‘til You Die Tour” by the band themselves. This was the third tour I had seen in a row, basically from the beginning, when they first toured the USA opening for Black Sabbath in 1978. I was “uncredentialed” for this show but had secured amazing second row center seats. I had heard that the stage show for this tour was going to be great along with an amazing light show.Van Halen at this point were known as one of the greatest live party bands along with being a showcase for the amazing guitar talents of Eddie Van Halen. 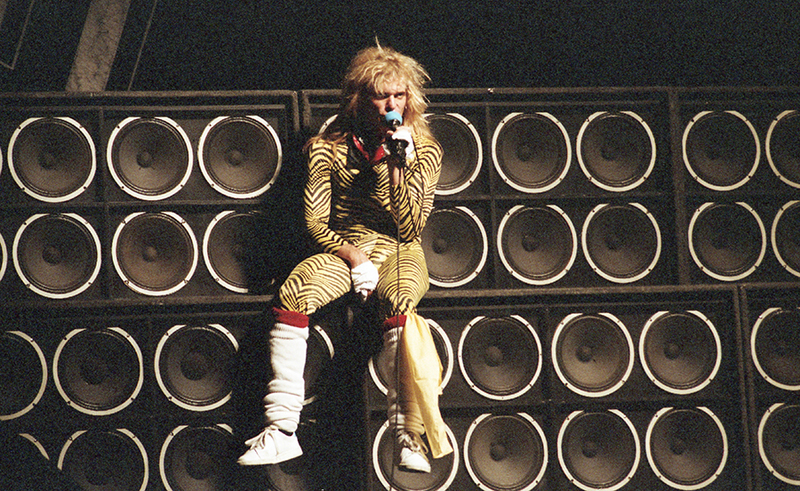 Having seen previous tours, I was excited to get some great shots of Eddie this time around. 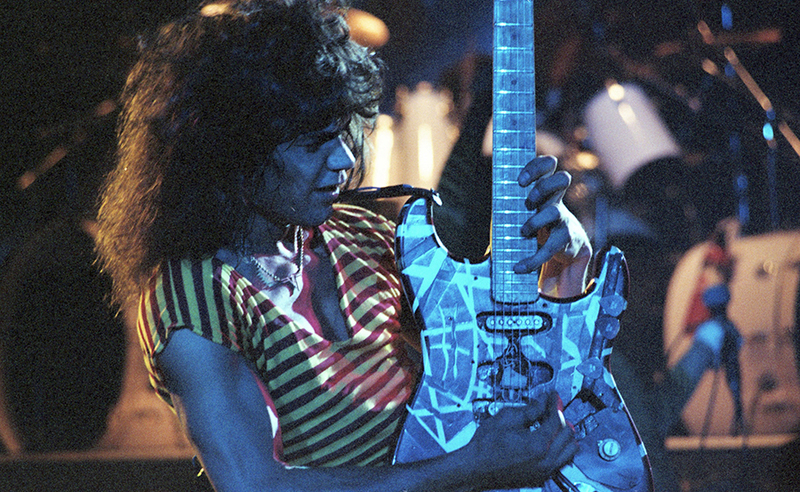 Images of him were in high demand in many of the rock and guitar publications of that time. Opening with “Romeo Delight” and “Bottoms Up”, the party was on. 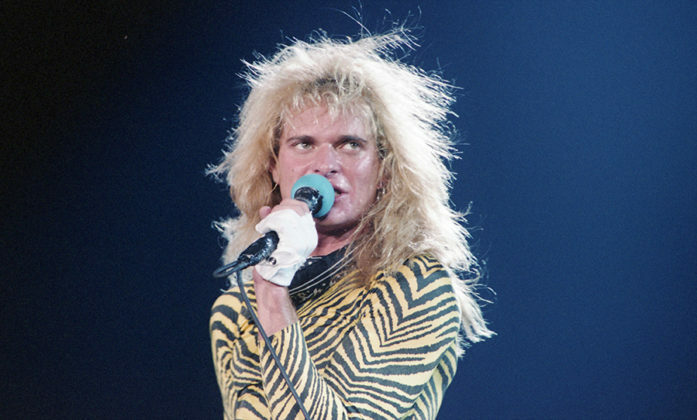 Nothing was better for a photographer than a great light show, with multiple follow spots, stage fog and colorful performers, none more colorful than David Lee Roth. 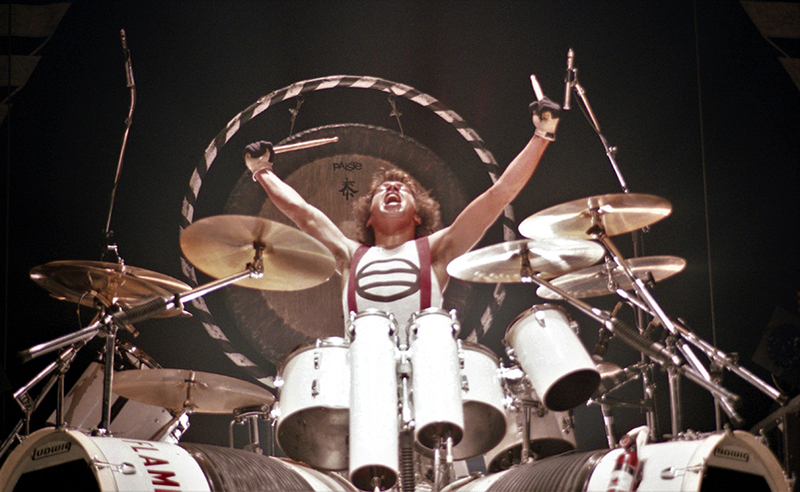 My closeup image of him seen here, was one of my most published images back in the early 80’s. 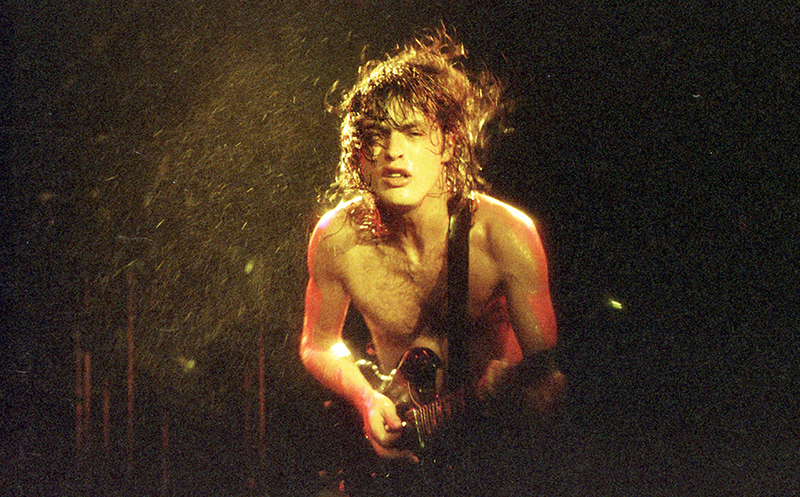 Dave was a great rock n’ roll front man if nothing else. The crowd of course could not get enough of the action on stage. Watching Eddie Van Halen thru the viewfinder and capturing him in his element was truly exciting. 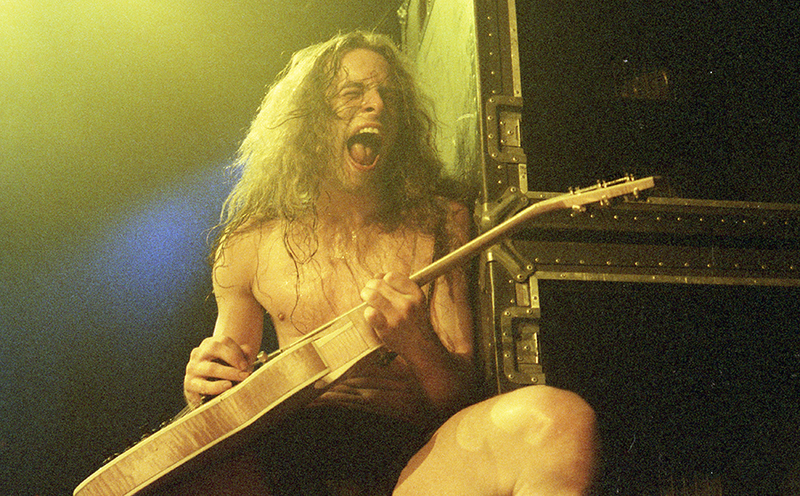 As a fan of “guitar players”, I knew I was getting some great shots. Of course, back then you never really knew what you had captured until the film was developed a few days later. 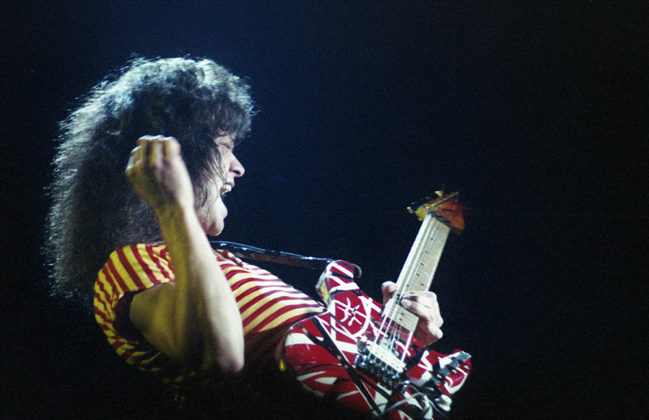 Well as it turned out I captured an amazing image of Eddie, that much later was published on the “official” Van Halen website, with Eddie himself commenting to the webmaster, that the shot “was one of the best live action shots he had ever seen of himself”, wow what an honor.The image seen here of him leaning back, picking hand in the air, while bending the strings on the neck, looks as if he is floating in darkness. Undoubtedly, a “high energy action photo”. After reviewing the images a few days later, I was very happy with the results. I always judged my shooting performance by a percentage scale, if I had over 50% of my images clear and in focus, with great composition and good exposure, I was happy. 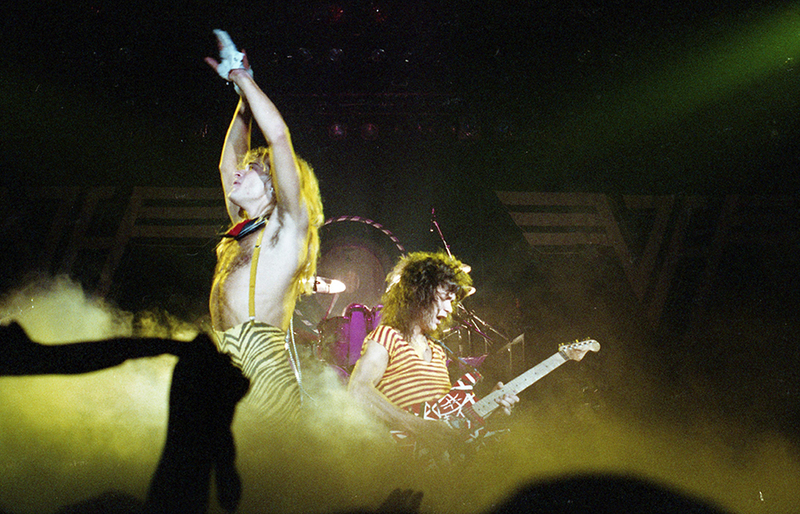 That night I had captured Van Halen in what would later become known as the peak of their career. Not long after, in 1985, David Lee Roth was replaced by Sammy Hagar and another chapter in the band’s history began. 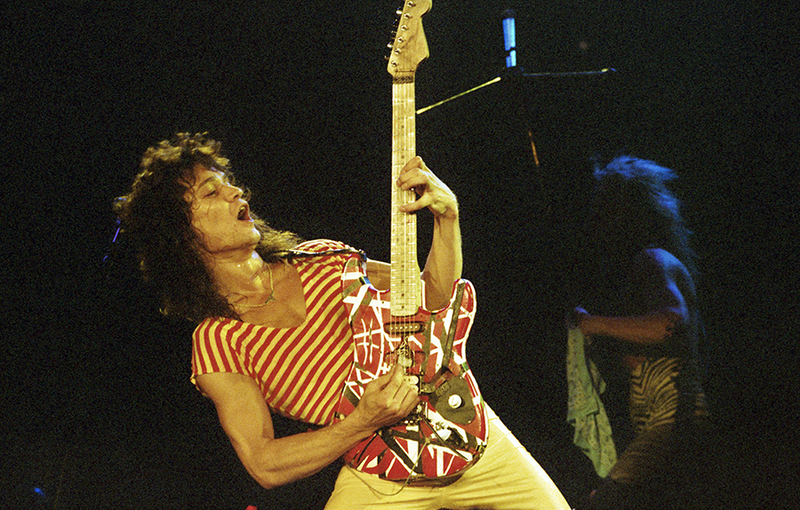 After you have enjoyed the live concert photography and review of `Van Halen` performing in America from Bill O’Leary then make sure to visit his GALLERY. You will find more of his relevant work and links to his social media / websites and other published and non published portfolios. You can also view this photographer`s full A to Z of ALL the bands and artists they have photographed for Chasing The Light Art.The links below are where you will find more great Rock n Roll and America concert images and reviews from this photographer. Live music event promoters, if you are searching for an experienced Pit photographer to cover your next music event, try this live music and Pit photographer from Colorado / America. Contact him directly by using any of the social media links provided.